You just need to find the pot of gold! DF asked me to bake cupcakes for the women in human resources (to thank them). With St. Patrick’s Day around the corner I thought they should be decorated for the occasion. I was inspired by, of all things, a 21 century insurance commercial. I realize how odd that may sound, but in the little commercial they show this fantasy land with grass, a pound, and flowers; the person who has the 21 century insurance receives a visit from a leprechaun dancing around a pot of gold. 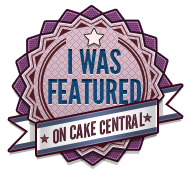 I knew I wanted the cupcakes to resemble the scenery. When Sydney saw the leprechaun hats, prior to petal dusting them, she remarked they would be great for Dr. Seuss’ hats, I agree if the hats were painted red with white stripes they would be cute. Dr. Seuss’ hats or the mad hatter from Alice in wonderland..maybe we will create some fun cakes while she is home for spring break! Use the three stage method. In a small bowl, sift the flours, baking powder and salt. Set aside. In a large bowl, on the medium speed of an electric mixer, cream the butter and vanilla bean until smooth. Add zest, add the sugar gradually, and beat until fluffy, about 3 minutes. Whisk the eggs with the crème de menthe in a measuring jug. Sift the dry ingredients until the dry ingredients are incorporated. Add the mixture, alternating with the flour mixture and egg mixer (beginning with flour and ending with flour) beat on low speed until all the ingredients are amalgamated . Use a rubber spatula to scrape down the batter in the bowl to make sure the ingredients are well blended. Use a medium ice cream scoop, scoop the batter into the cupcake liners, filling them about 3/4 full. Bake for 20 to 25 minutes at 180 degrees C/350 degrees F, or until a cake tester inserted into the center of the cupcake comes out clean. **if you do not want to use alcohol substitute mint extract or an emulsion i.e. mint oil. 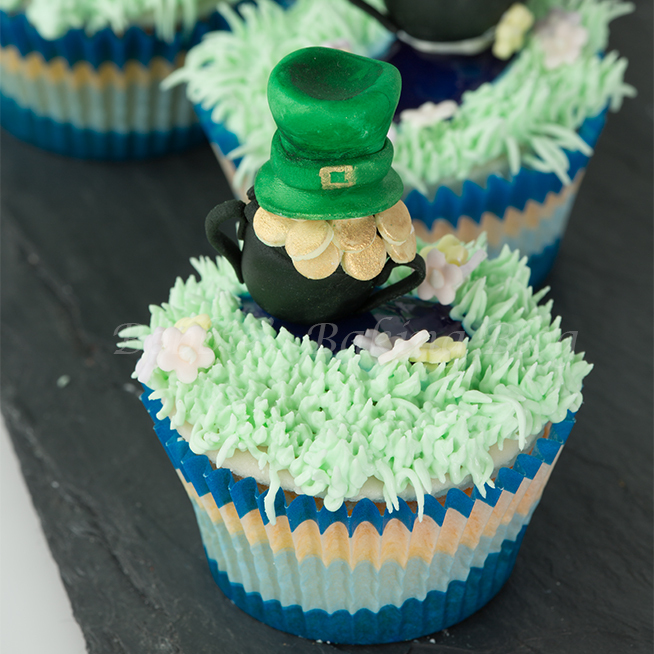 Happy St. Patrick’s Day, may the luck of the Irish be with you! 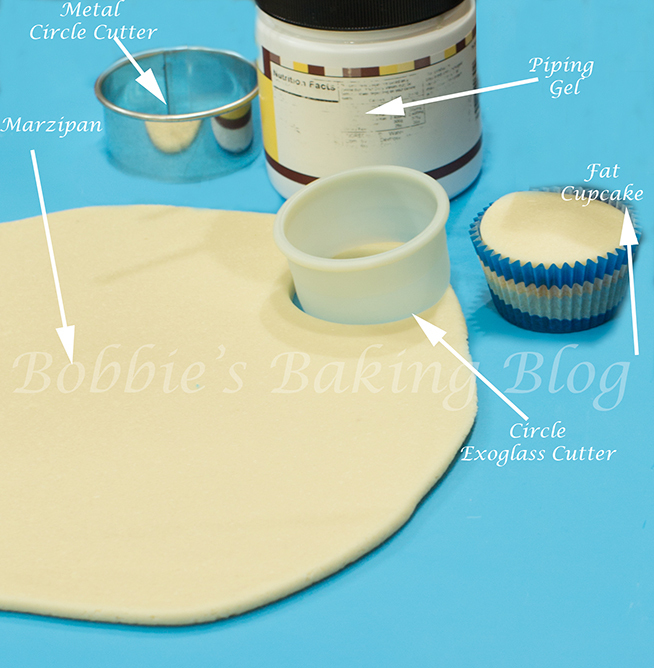 Prepare your mise en place and cover your cupcakes with marzipan. 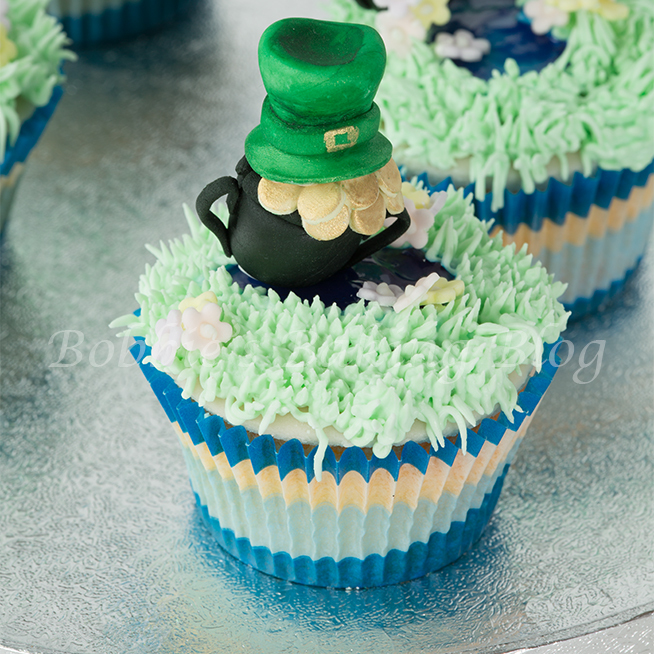 I chose marzipan, but buttercream would be prefect for the Luck of the Irish Hats; you would need to use buttercream for all the piping instead of royal icing, but the method is the same. 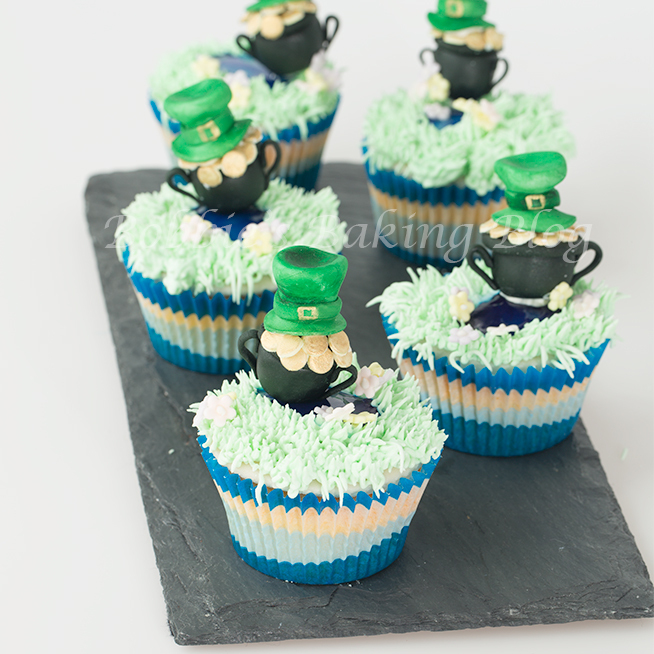 The Pots of Gold and Leprechaun Hats’ mise en place. 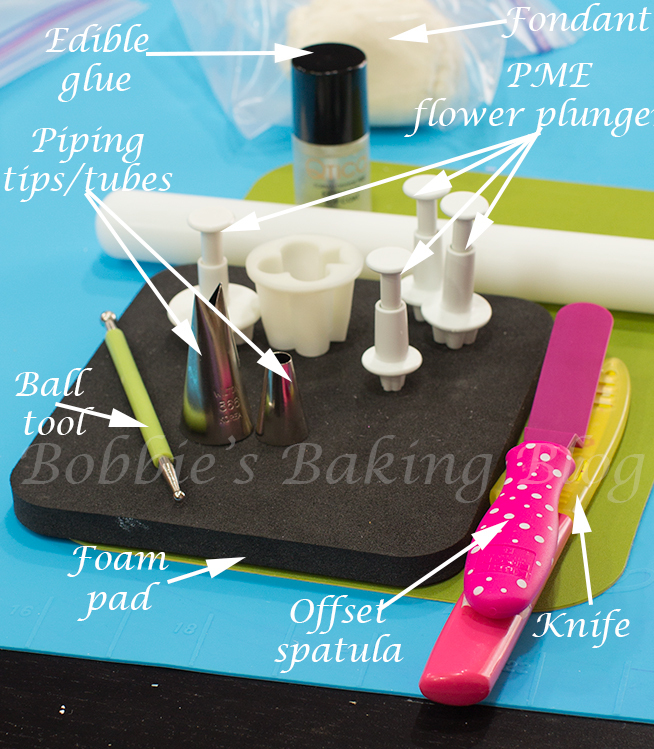 What a wonderful baking project for the family or even a kids cake decorating class! How fun to change the hat and have an “Alice in Wonderland” tea party! Thank You Mirjana,they were fun to create! 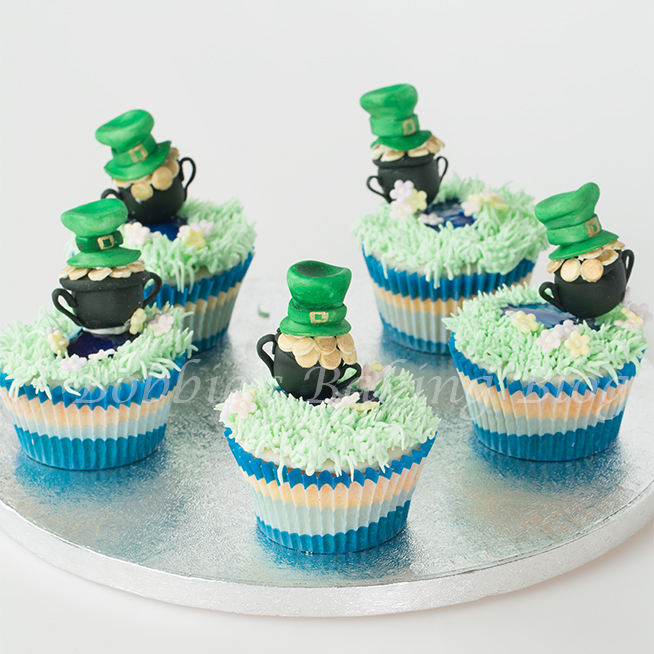 very lovely, adorable, fun cupcakes.thankyou for sharing!! !